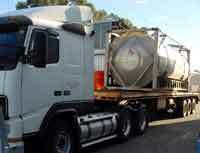 If you've run out of chemical blending capacity, or simply want to carry out your chemical blending on the West Coast of Australia to save Australian transport costs, Daly Laboratories can provide you with a cost effective solution. Whether you require simple chemical blending services or complete contract production incorporating blended chemical packaging and logistics management Daly Laboratories can provide you with a competitive and quality chemical blending service Australia wide. 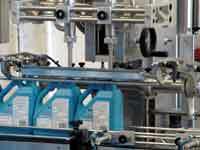 Blending chemicals under contract is Daly Laboratories' prime focus. We provide expert contract chemical blending knowledge, competitive pricing, state of the art chemical blending facilities and timely, quality controlled chemical blending services to our clients under strict confidentiality arrangements. Daly Laboratories currently provides chemical blending services to such clients as Bondall Building and Renovating Products, Champion Technologies, Reynolds Soil Technologies, Arthur Yates and Co, Allpet Distributors etc. Please do not hesitate to contact us for an obligation free quote regarding your chemical blending needs.